Combining comfort, performance and profitability, the Manitou MLA-T 533-145 V+ telescopic loader is fitted with M-Vario Plus transmission, a 143 hp engine and a load sensing pump. With easy access to to the main engine components and centrally positioned greasing points, maintenance is simple, optimising the profitability of your operation. Don’t miss this limited time offer to purchase this outstanding loader with 0% finance. 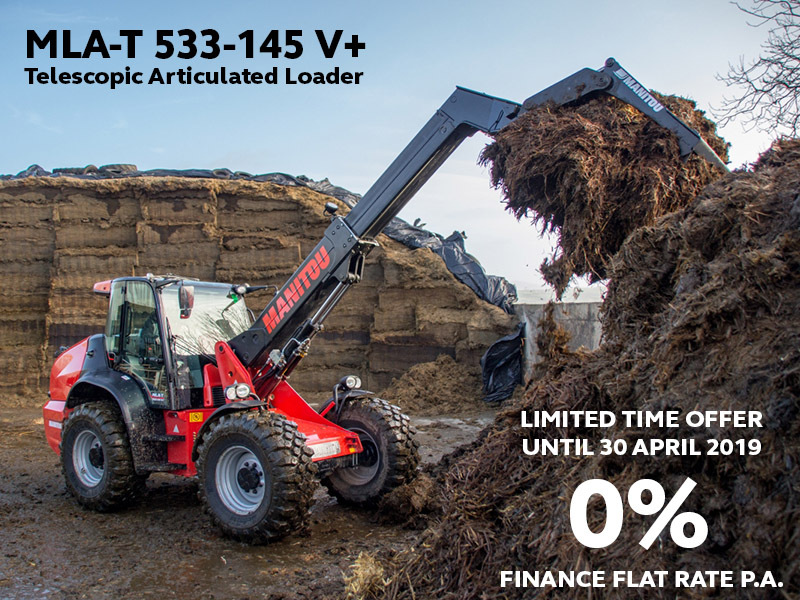 3+33 monthly payments at 0% per annum, sold with Manitou finance at a maximum advance of £50,000 delivered by 30 April 2019. 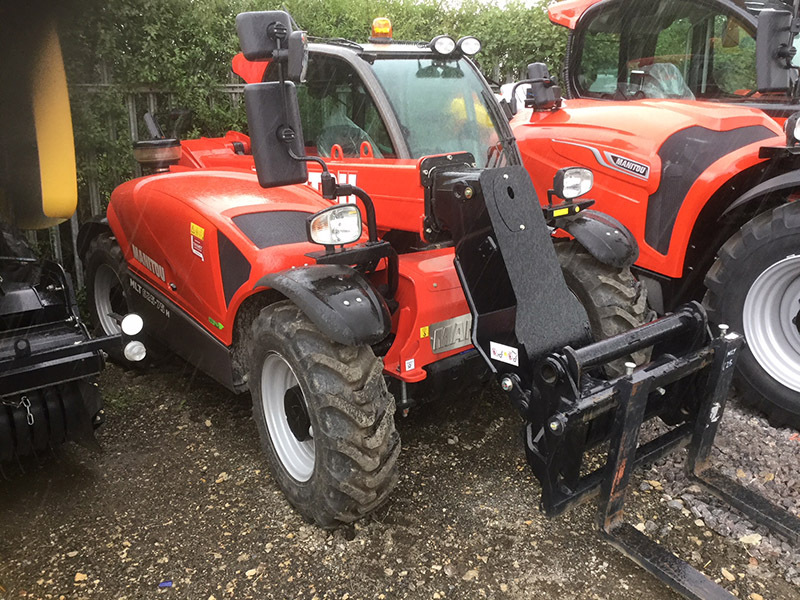 We are also offering deals on a selection of quality used Manitou equipment. Contact your local sales rep for full details today!